Are Mobile Billboards an Effective Way to Promote Concerts? A concert experience isn't just felt during the performance itself. The marketing, branding, and extra takeaways make up the whole sensation. Some may believe active social media and digital advertising is all it takes to attract a crowd to a musical performance, but it's unclear whether that promotional material will stick and lead people to show up. Of course it's important for musical artists and their marketing team to tap into the usefulness of online conversation, but it's equally necessary to find an interesting outlet to promote outdoors. Particularly with artists wanting to sellout their shows, digital engagement may not be enough to get the reach. This is where mobile billboards can help out. Believe it or not, the next big trend for smart advertisers is actually one that's been here all along. Outdoor advertising is the future of effective advertising messaging for a number of reasons, whether it be with digital partnerships or mobile billboards. Advertisers among us- pay attention to the strides that outdoor advertising takes in order to deliver the clearest, most impactful results. There are different advertising options available in the marketing mix. Based on your company's objectives, budget and target audience, you normally advertise through one or more type of media. Calculating your return on investment in dollars is difficult, but you need to establish measurable goals, such as a percentage increase in order to evaluate success. A channel that calculates and measures these business milestones precisely is outdoor advertising. Smart advertisers will see the benefits in creating influential outdoor campaigns. Easy-to-reach digital channels are still effective, but outdoor advertising has the potential to be the largest impact advertising. 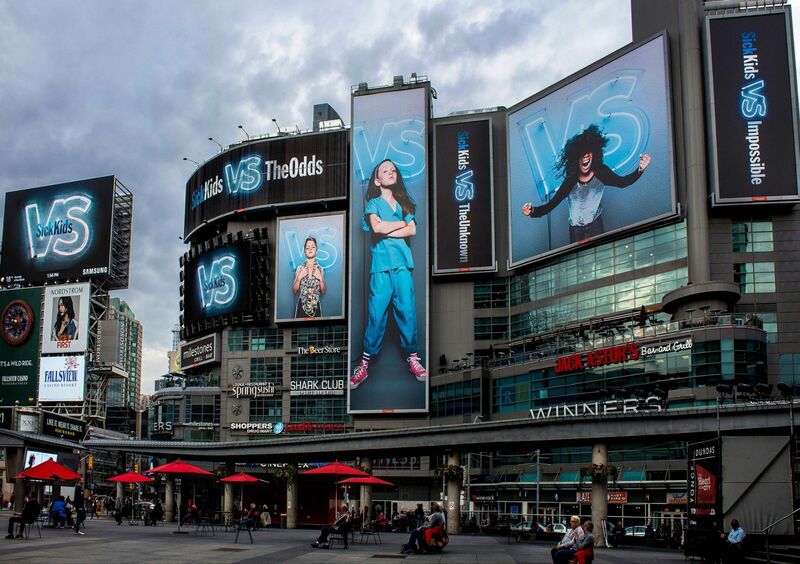 Let's take a look at how outdoor advertising fares to other advertising channels, as well as see what trends outdoor advertising has in store for 2019. Outdoor advertising provides a great deal of advantages for businesses thriving, or trying to, in this current era. One of the more talked about trends is that digital out-of-home advertising (DOOH) will harvest itself in printed media. This means that multi-channel campaigns can include digital printed borders or graphics to help strengthen their appeal and design. DOOH is consistently paired with print advertising to create a fuller campaign. This outdoor advertising channel continues the conversation for subjects left unsaid on traditional advertising. There's not enough of a reach for Gen Z consumers on digital advertising alone. According to a report by AdAge and UNiDAYS released in summer of 2018, Gen Z buyers are more capable of tuning out digital ads and actually prefer physical experiences. Their time online becomes interrupted if a digital ad interferes with their activity. The report found that 56% of Gen Z-ers don't click on website ads, 64% don't listen to podcasts, 64% use their phones for browsing only (not shopping), 74% don't watch streaming videos, and, most importantly, 84% pay attention to outdoor advertising. This report is extremely telling that digital advertising isn't enough to reach these valuable young adults along their marketing milestones. Events-based marketing is on the rise. According to a report by BrandMuscle in 2018, 2700 local marketers spoke of how many advertisers are showing up to in-person events in order to spread word of their client's brands. Impressive results are being drawn from face-to-face interactions in trade shows, conferences, or hosting their own events. In the report, it's revealed that advertisers hosting their own events was the most effective marketing strategy out of every other channel they participated in (ex. online ads, social media, radio, television). Mobile billboards and vehicle advertising drives online sales for businesses. Due to retargeting and measurement components of mobile billboards, advertisers are seeing a bright future in putting messages on the backs of trucks in order to target the right heads. Online retailers are putting ads on fleets of taxis in order to deliver their branding messages to outdoor shoppers, and, with more online sales of products, delivery vans distributing those products can have a mobile billboard on their vehicle. This multi-purposeful advertising opportunity is an outdoor sensation. Out of so many advertising options, outdoor advertising is considered one of the most popular methods to attract a large number of audiences. Outdoor advertising is called a mass-market medium, just like broadcast, radio, TV, and cinema advertising. For this reason, it is better utilized for broad messages, branding, and support campaigns. Newspaper and outdoor are two of the oldest forms of advertising with a longstanding history. Despite the decline of the newspaper industry as it fights a rear-guard battle with the internet, it’s influence in advertising hasn't been reduced. However, it's target has shifted. There's not many Gen X, Y, or Z newspaper advertising consumers. Even if popular in the baby boomer category, there's still a shortage of reach. OOH can resolve some of newspaper advertising's shortcomings by offering selective targeting. OOH penetrates newspaper zones that are too large for reaching specific neighborhood target areas. Newspapers have a short shelf life. OOH can extend the life of a newspaper campaign by presenting ad messages in a marketplace 24 hours per day, seven days per week. The possibilities of greater reach, in a specific outdoor environment, are greater than that of someone picking up the newspaper by chance. Readership rates are declining and will likely continue to due to increasing numbers of alternate news sources. OOH’s advertising nature is unavoidable and gives consumers no other reason to turn away. OOH reinforces television messages when viewers are away from their homes during the course of daily activities. OOH minimizes wasted coverage and improves an advertiser’s campaign by providing the ability to target ad messages geographically. Television is an expensive channel to advertise on. OOH improves the efficiency of a television campaign purchase by driving down CPM costs. OOH reaches light TV viewers who are younger, mobile, and more affluent than heavy TV viewers. The combination of radio and OOH reaches a mobile audience, offering a balance of sight and sound. Radio messages are susceptible to channel surfing, however. OOH can maintain the market presence of a brand featured on radio after listeners have switched stations. Radio is considered a frequency medium, and OOH can increase the reach of a radio campaign by providing broad market appeal to radio listeners. Internet and OOH advertising reach similar audiences. Both market to a younger, educated, affluent, and mobile audience. OOH extends the reach and frequency of an Internet campaign when users are offline. The brevity of OOH’s copy is ideal for driving traffic to a website. While internet advertising may work in some cases, it's very easy for online users to scroll past or exit out of banner ads uninteresting to them. After looking at the current and rising trends of outdoor advertising in 2019, as well as see how it compares to other advertising channels, it's important for the savviest of advertisers to remember that OOH is an effective channel that reaches the most impressionable of targets. This question comes up a lot when people think of the beginning stages of billboard construction. And, if you're planning on doing this with a smaller team, it's good to be aware of what you may need to fish out. The key factors influencing the cost of building an outdoor billboard are the size of the billboard, material for the structure, the configuration of the supports, and the height of the structure. The second most important cost factor is whether the billboard will be single or double-faced. It completely depends on the type of billboard that you are constructing. As we know, internet ads prevail in a marketing mix because they tap into an online user's web behavior, their patterns, and their most visited pages. Digital ads apply to everyone on the internet, as they're proportionately dispersed across webpages for people to see and interact with. Though internet advertising is utterly a cash cow for brands on digital, billboard advertising is on the rise and out-of-home spending is skyrocketing. In 2018, spending on outdoor advertising was projected to reach about $38 billion, which was up by 35 percent since 2010. Out-of-home advertising has been the conquistador of non-internet media, such as television. We've all seen them. We know what they're capable of and what they look like. They might startle us as we're passing them by, or greet us as we're crossing the street. They might be promotional, informational, or awe-inspiring. But one thing remains objective: they're vehicle wraps, and they're not departing from our world anytime soon. Whether they're covering public buses or streetcars, trucks, smaller cars, or other vehicles in our present environment, vehicle wraps are an advertising strategy that compete with static billboards as an efficient OOH execution. Due to their low cost impressions and substantial reach, vehicle wraps are perfect for businesses both big and small. Let's go through the elements that make up a quality vehicle wrap advertisement that will stick in the minds of people who see them.